Many people have ever encountered issue of iPhone voicemail won’t play on iPhone, from the latest iPhone 7 and iPhone 7 Plus to old iPhone models like iPhone 6/6s/5/5s. When they tap a voicemail message to listen to it, nothing happens and voicemail won’t play on iPhone as it should do. So why you can’t listen to voicemail and is there some methods to fix this voicemail problem? Continue read this post to figure out. Case 1, iPhone 4S Won’t Play Voicemail Messages. This is an old issue happened to iPhone users since the 4 generation. On 2012, people have reported they couldn’t play voicemail on iPhone. You can see the screenshot below to get the details. And on the bottom, it shows more then half thousand users also got the similar problem. Case 2, Why Can’t I Listen to My Voicemail on iPhone. After years, the problem still existed. Some users also got this voicemail problems when listen to voicemail on their iPhone 5s/6/6s and even iPhone 7. And it shows more than 1 thousand users have this issue. Why iPhone Won’t Play Voicemail? The reasons why iPhone voicemail won’t play could be complex and various, but it’s mainly caused by network connection issue and voicemail settings. If you also met this problem and look for a way to solve iPhone voicemail not playing problem, maybe you can try the below solutions to fix it, no matter which iPhone model you are using. Open Phone app and tap the voicemail tab. If you are prompted to automated voicemail system, follow the voice to set up your voicemail; if not, tap Set Up Now on the screen. Enter a password and then re-enter to confirm it. Set custom greeting or default greeting and then save your settings. To make sure that you set up your voicemail correctly, dial your phone number from your iPhone to check it. Regularly rebooting your digital products can be a necessary part for maintenance, and so do iPhone. This solves about half the minor problems on iPhone in iOS 10.3 or earlier. If your iPhone 7/6s/6/5s voicemail not playing, try to restart your iPhone. How to restart an iPhone: press and hold the Sleep/Wake button until the red slider appears > drag the slider to turn your iPhone completely off > after the device turns off, press and hold the Sleep/Wake button again until you see the Apple logo to restart your iPhone. If the connection is alright but you still can’t play voicemail on iPhone 7/6/6s/5s, skip to the next method. 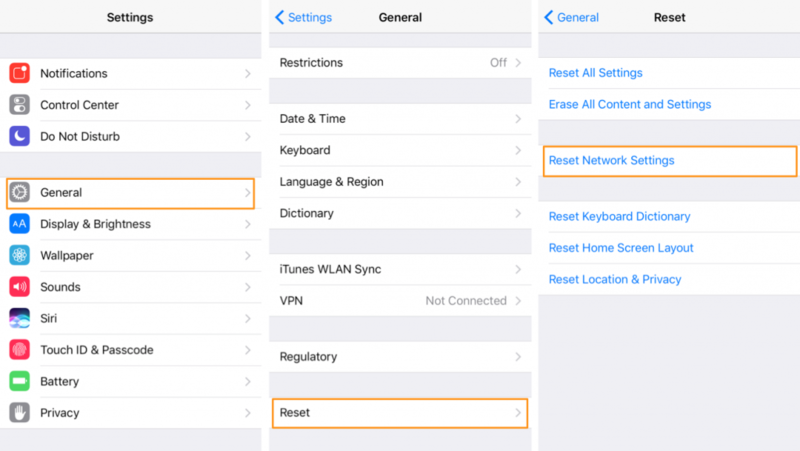 To reset your iPhone network settings, open Settings > General > Reset > Reset Network Settings. Your carrier usually keeps updating carrier settings to improve cellular network connectivity or solve issues related to visual voicemail, Wi-Fi Calling or other features. To install carrier settings updates, go to Settings > General > About to check for carrier settings updates. If an update is available, you’ll see an option to update your carrier settings. For security reason, you’ll be asked to enter your voicemail password sometimes. If you can’t listen to voicemail on iPhone because of losing voicemail password, contact your carrier to reset it. If you can’t listen to voicemails on iPhone 7/6s/6/5s/5 because something gone wrong during system upgrade, you can reset your iPhone to fix this problem. 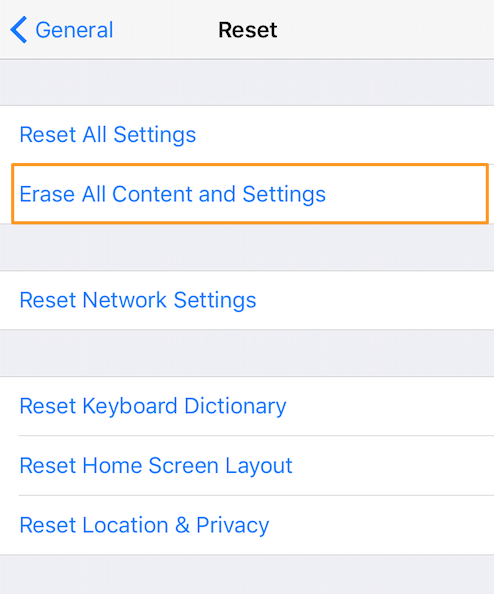 To reset your iPhone, go to Settings > iCloud > Sign Out, and then back to Settings > General > Reset > Erase All Content and Settings. If you still can’t fix voicemail not working on iPhone 7 after trying the solutions above, there might be something wrong with your voicemail plan, you can contact your carrier to make sure your iPhone is properly configured with the voicemail.